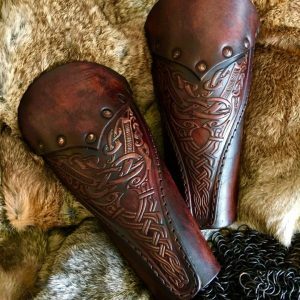 Introducing the NEW Asmund Leather Armour ,this has been professionally dyed and built for you by ourselves. Created & designed by Alex Agricola, the whole set is made of premium grade top grain 3.2-3.5 mm Veg Tanned leather. Ideal as a base design for personalisation, using the perfect thickness and quality of leather to carve and tool any design. If you purchase this undyed then you will need to dye and seal the surface, otherwise everything has been done for you. This Armour fits a chest size ranging from 40-60 inches (102 ? 152 cm?s). 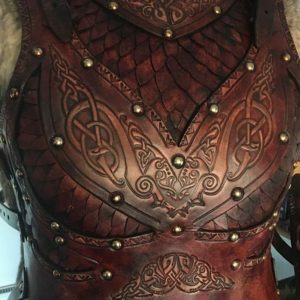 In development for 4 months, this leather armour has proved yet another challenge, bringing a style that will work well for both men an woman (up to a C cup a more curvy D cup plus will be coming in the spring). 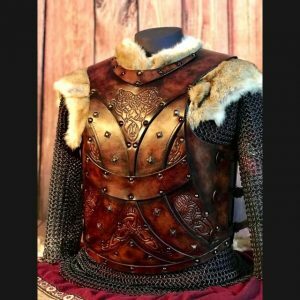 Both as a practical leather armour, something that looks good as well as a design that works in true combat. The Asmund? 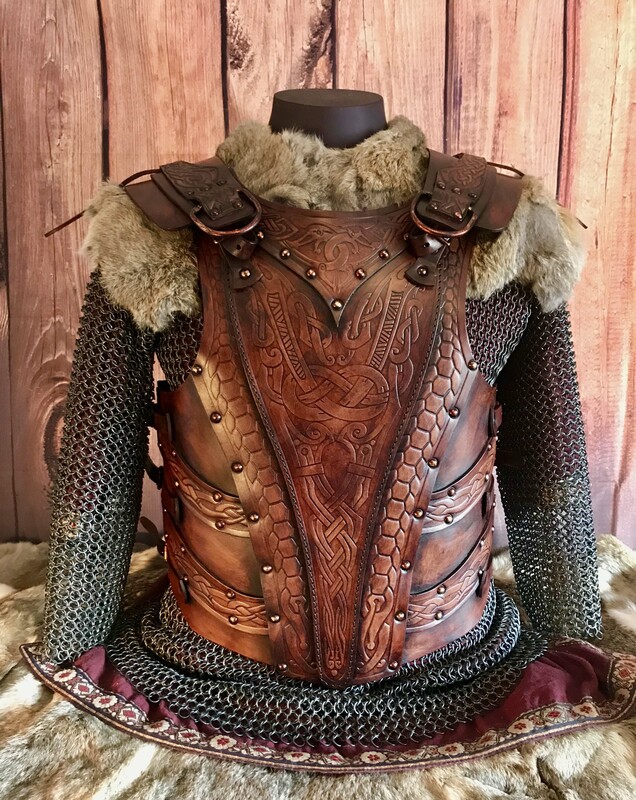 ?”Skuldro” Deluxe Leather Armour is the centrepiece of the Asmund “Skuldro” full Leather Armour set this is the same as our Asmund armour but with an alternative shoulder design. Black Raven Armoury’s own Alex Agricola had a vision for? an elegant yet functional leather armour and the Asmund |Deluxe is the result. Formed and fashioned from the best premium grade top-grain 3.2-3.5 mm Veg Tanned leather, The Asmund “Skuldro” Deluxe is finished in the Black Raven Armoury signature battle worn style.